Bobby Robson was confirmed as England manager almost immediately after they exited the 1982 World Cup. It had been an extremely frustrating tournament for Kevin Keegan, who – along with room-mate Trevor Brooking – was injured for most of the competition and restricted to a 27-minute substitute appearance against hosts Spain in their final match. That game saw Keegan infamously head a glorious chance wide as England bowed out and it was the only time he ever played in a World Cup finals. What nobody knew, including Keegan, was it would be the last match he ever played for his country. Kevin Keegan’s final act in an England shirt. Former Ipswich Town boss Robson inherited an England squad that had a ‘Dad’s Army’ tag attached to it. Although some younger players such as Terry Butcher, Glenn Hoddle, Bryan Robson and Kenny Sansom had established themselves, others were the wrong side of 30 and were not voluntarily retiring. Robson was going to have to rebuild and wield the axe along the way. Keegan fell into the older bracket at 31 but he was still seen as a key player who had been captain under Ron Greenwood. 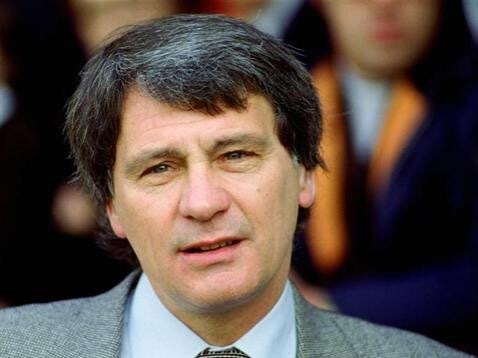 Bobby Robson faced a tough start to his England managerial reign. Often in a grim previous decade Keegan had been the one player the English public could turn to for inspiration. As he came to terms with his World Cup disappointment, the summer of 1982 saw him make the rather surprising choice to drop into the Second Division – albeit with one its biggest clubs – as a two-way love affair with Newcastle United was born. 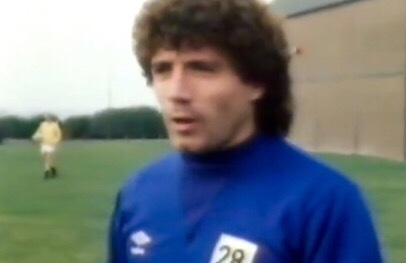 Playing outside the top-flight did not automatically put Keegan’s international career in jeopardy, given Brooking had played regularly for England while West Ham United were in the Second Division from 1978-81. Keegan becomes a Messiah to the Geordies as he scores the winner on his Newcastle United debut, watched by Bobby Robson. On the opening day of the 1982-83 season, Bobby Robson was in the crowd at a jubilant St James’ Park as Keegan made his Newcastle debut. He scored the winner against a QPR side destined to romp to the Second Division title, with boyhood Newcastle fan Robson pleased to share in the occasion. “See you soon,” Keegan recalled Robson telling him afterwards, which he took as a sign he was still in the England plans. But privately Robson was making a very important decision as he watched the Geordies worship their new signing. He would not be picking Keegan for his first England squad. According to Robson’s 1986 World Cup Diary, the reasons for dropping the player were twofold. Firstly, he was concerned with the stories he had heard about Keegan’s conduct while fighting to be fit during the World Cup, meaning “he became a disruptive influence”. A conversation with Southampton manager Lawrie McMenemy seems to have helped him make up his mind on Keegan. “I gathered he liked to take over and yet I knew that it was vital that I should be in control from the first match against the Danes,” Robson wrote. The second concerned Keegan’s age. Robson took over with the 1986 World Cup at the forefront of his mind – more so than qualifying for the 1984 European Championship – and he felt Keegan would not be playing a part in that at the age of 35. But he also believed Keegan was no longer quite the player he once was. Robson wrote: “Had I been sure that Kevin Keegan was still at his peak I would have had no hesitation in selecting him but I felt that he was beginning to play a little deeper and was no longer getting in where it hurt to win big matches, preferring the role of playmaker and provider.” Robson did stress though it was not his intention to totally remove Keegan from the picture, but ultimately that would prove to be the case. 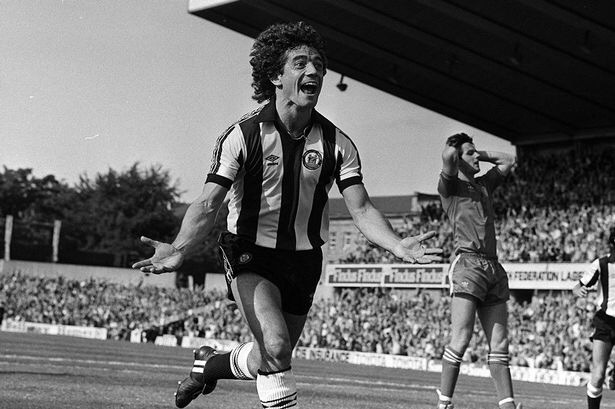 Kevin Keegan reacts angrily to not being told by Bobby Robson he had been dropped. A decision that must have been harder for Robson to make on a personal level was dropping Mick Mills, who had served him so well at Ipswich and captained England in the World Cup in Keegan’s absence. The 33-year-old would never be capped again and neither would Brooking, who was injured anyway for the Denmark match. The end had also come for other players including Terry McDermott, third choice goalkeeper Joe Corrigan and defender Dave Watson (who had cruelly missed out on a World Cup spot after years of dedicated service to his country). And for other players such as Ray Clemence and Phil Thompson the clock was ticking, as Robson faced a lengthy rebuilding exercise. But dropping Keegan dominated the headlines. On September 14, 1982, Robson named his first England squad. According to Keegan, he was approached by a member of the press after training who told him he wasn’t in the squad. There had been no phone call from Robson or anyone else on behalf of the Football Association. This seemed to form the basis of Keegan’s anger more so than actually being dropped, declaring his disgust he wasn’t contacted and saying that he did not wish to be picked for his country again. In a TV interview, Keegan said: “What upset me is the way I heard about it. I mean a 10p phone call from the FA is not a lot to ask.” It wasn’t the first time the FA’s communications had left a lot to be desired, Greenwood discovering his appointment as permanent England manager in 1977 when he heard about it on his car radio. The matter rumbled on and it meant Keegan was now permanently out of the England picture. Keegan believed he was owed the courtesy of a phone call to tell him he was dropped; Robson felt as he was starting afresh that he didn’t have to make one as he was picking his own team. Both arguments have logic in them but the pair probably both wished with hindsight they’d acted differently and reached a compromise – either Robson calling Keegan into the England squad, taking him to one side and saying he may no longer feature as prominently, or Keegan biting his tongue and seeking a private explanation from Robson. The negative publicity did neither party any favours. 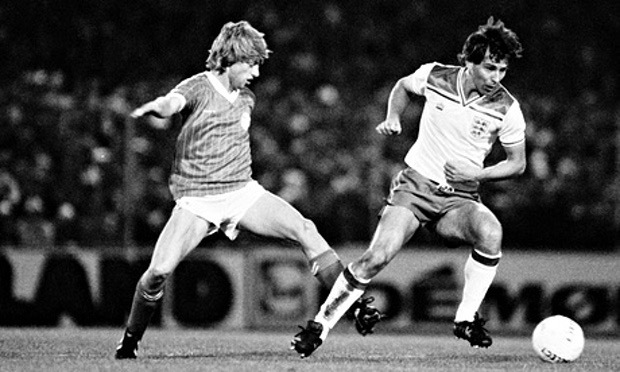 Bryan Robson in action against Jesper Olsen as England draw 2-2 in Denmark. Robson must have cursed the schedule he had inherited, as his first match would be a Euro ’84 qualifier away to Denmark. The manager knew how good the emerging Danes were and he would not have any time to experiment before his first match – which if England lost would already leave their qualification hopes in trouble. Ray Wilkins was handed the captaincy, although Bryan Robson would soon become the permanent captain. Substitute Ricky Hill made his debut, while Russell Osman and Tony Morley played despite missing out on the World Cup squad. England did not produce a particularly impressive display but came close to a rather undeserved victory, Trevor Francis scoring twice as they led 2-1 with time ticking away. However, Jesper Olsen then jinked his way through to equalise for the Danes and send out the message that they were here to give England a serious run for their money in the qualification stakes. To compound matters, there was yet another outbreak of serious crowd disorder when England played abroad. 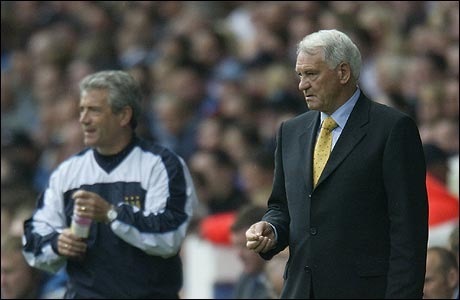 Kevin Keegan and Bobby Robson reflect in 2000 on the dispute. Shortly afterwards, Keegan sent out a defiant message that he could still turn it on when he scored four times in front of the Match of the Day cameras for Newcastle at Rotherham. But for all the public pleas for a recall, there was no going back so far as his England career was concerned. Robson later noted in his World Cup Diary that Keegan never responded to a letter he sent to him at Newcastle in a bid to resolve the situation. Ultimately it is doubtful how long Keegan would have remained part of the England set-up anyway, given he retired from playing in 1984 after leading Newcastle to promotion. By then England had failed to qualify for Euro ’84, Denmark’s win at Wembley in the return fixture proving decisive. England did make it to the 1986 World Cup, which Keegan spent working as a pundit for ITV. After England’s Maradona-inspired exit, Robson also became part of their coverage. Robson wrote that they bumped into each other after seeing Argentina beat Belgium in the semi-finals, the first time their paths had directly crossed since Keegan was axed. “I had no argument with him and bore no grudges for the things he had said. It was water under the bridge and I went up, shook hands and talked about the player we both considered the best in the competition, Maradona,” wrote Robson. Kevin Keegan and Bobby Robson later came up against each other as managers.